Every week we use multiple detergents for cleaning. Wouldn’t it be nice to buy just one product for the laundry, dishes, floor, and even the bathroom? 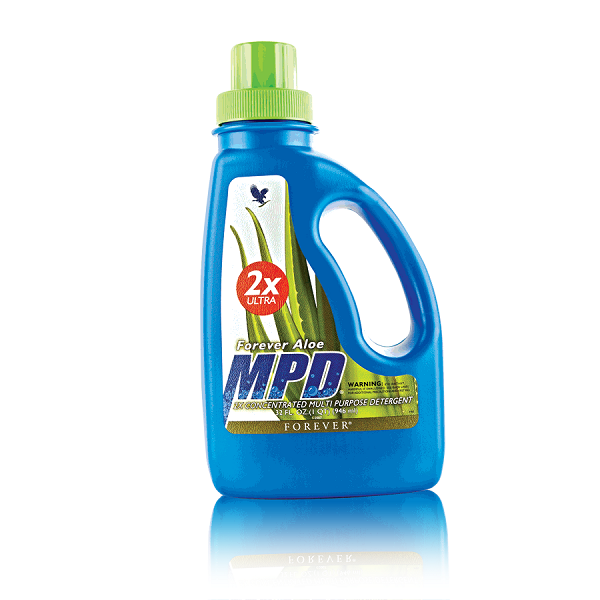 Forever Aloe MPD is a multi-purpose, liquid concentrated detergent created by FLP - and we’ve just made it better than ever! Our 2X Ultra formula is even more concentrated to take your cleaning that much further. A versatile cleaning product that is ideal for laundry (all types of clothes), it is also a household cleaner for floors, bathrooms, tile and carpet cleaning, and for hand-washing dishes.